RARLEY AVAILABLE 2 bed 2 bath, plus DEN home located in the highly desirable, Notting Hill subdivision of UNIVERSITY PARK COUNTRY CLUB. 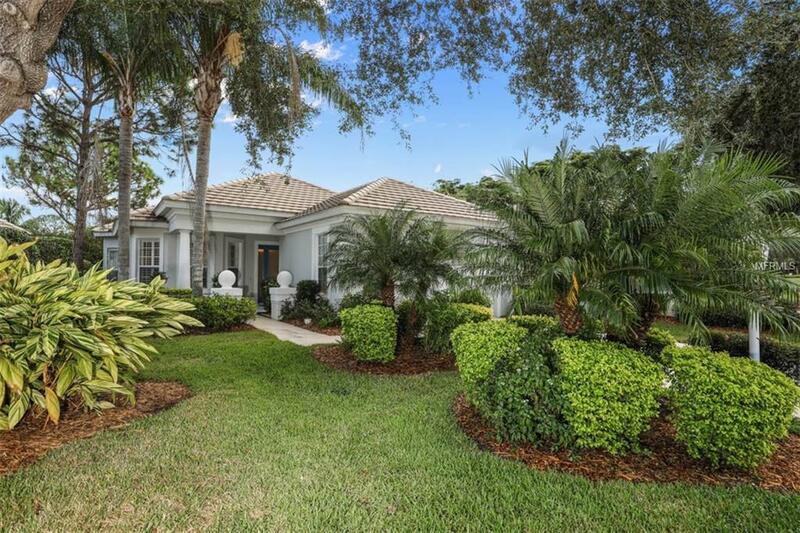 FULLY UPDATED with beautiful LAKE VIEWS and an EXTENDED LANAI! Fabulous Great room, NEW 24 porcelain tile has been installed throughout this spacious home. The kitchen features a bay window overlooking the water, a breakfast nook, eat on bar, HIGH END SILE STONE counter tops, STAINLESS STEEL appliances, and HARDWOOD cabinets. The formal dining room boasts TRAY CEILINGS and ample wall space. A spacious den with french doors is a perfect retreat. The master bedroom offers recessed ceiling and 2 walk-in closets and a master bath with DUAL VANITIES, separate shower and garden tub. SHOWER IS FULLY ACCESSIBLE. Beautiful CROWN MOULDING has been added throughout the main living areas. University Park Country Club offers a heated community POOL and SPA and is a 24 hour manned gated community. Social memberships are required at a minimum. Golf, tennis, and sports memberships are optional. Great location convenient to the mall, dining, the arts, health care, SRQ International airport, and I-75. A MUST SEE! !